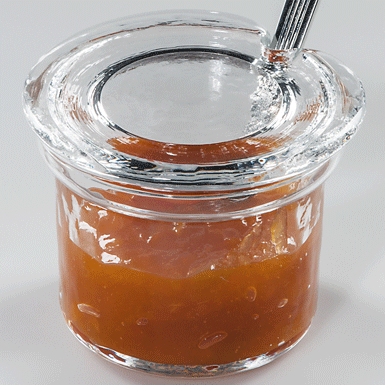 Marmellata is a practical jam pot with lid, which brightens everyone´s breakfast table. Delivery without a spoon! Cover hand poured into the mould. Lower part Mouth-blown with flamed rim.